Auris Plaza Hotel, Al Barsha will be hosting the Tastes of Turkey, a Turkish Theme Night on Wednesday November 19 at the Zuri Restaurant. 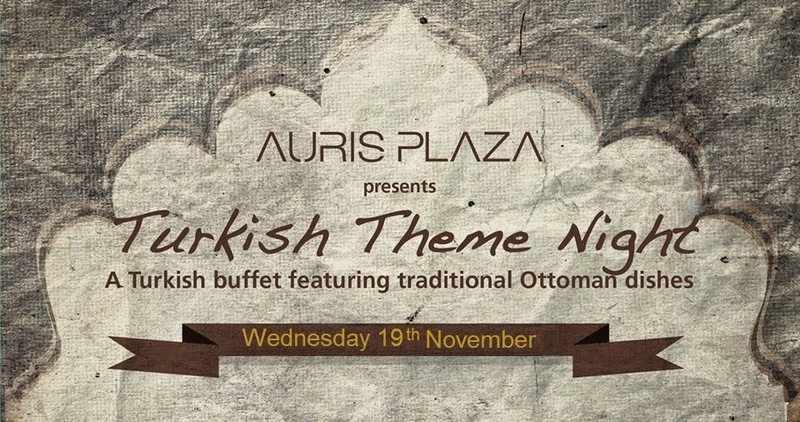 The monthly event celebrates the #Ottoman Cuisine heritage in #Dubai and its annually highlighted with a one month Turkish Food Festival in the same venue held every Ramadan. Speaking about the previous successes,Chef De Wet, the hotel's Executive Chef was upbeat about the upcoming event based on the feedback they have received in the previous events. The hotel, which is located right next to the Mall of Emirates, offers 337 executive suites, a leisure club, conference facilities and restaurants.